Literacy instruction is guided by the Arkansas State Literacy Standards. These standards focus on critical thinking, research skills, and applying knowledge to real-world situations. A Comprehensive Literacy Curriculum provides multiple opportunities for students to become fluent readers and writers, as well as lifetime learners. Math Curriculum is based on the Arkansas State Math Standards. Math is taught using the principles and strategies of Cognitively Guided Instruction which uses objects, drawings, conceptual language, and real-world situations to help students build mathematical ideas that make sense to them. Science Curriculum is based on the Arkansas K-12 Science Standards with the addition of Project Lead the Way modules. The standards reflect science as it is practiced and experienced in the real world and make explicit connections to literacy and math. FES faculty and PTO members have worked together to provide students with science lab activities and an outdoor classroom for students to explore learning in alternative settings. The outdoor area has a covered amphitheater, paved track, and outdoor covered classroom. 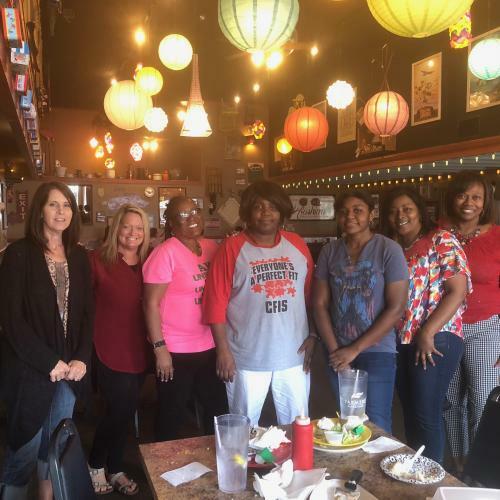 Camden Fairview School Counselors Celebration Retirement for Phyllis Watkins. We all can remember recess as kids, putting away the books and heading down the slides. Some Arkansas elementary students could be seeing more of the jungle gym the next school year. The Department of Education is asking schools to test a program giving grades "K" through six more time on the monkey bars in hopes of improving classroom behavior, concentration and memory. Fairview Elementary is the only grade school in Camden who is applying to pilot the program just to see how it works. 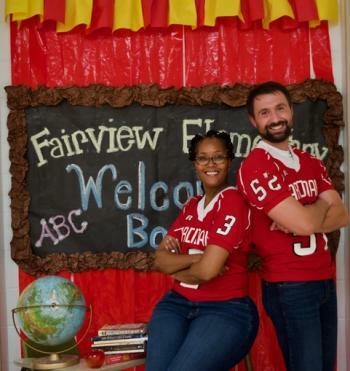 Arkansas requires 60 minutes per day of unstructured physical activity for grades "K" through four, giving Fairview Elementary two recesses a day. "Our children need more outside time," Treasa Thrower, Principal said. "In today's society, they have a lot of technology. With that being said, being outside more. I think that it will increase their activity outside, make them feel better." Principal Treasa Thrower is no stranger to multiple recesses. Other districts she's worked in saw improvements from increased playtime. "We saw a decrease in discipline," she said. "We saw an increase in attention span in the classroom." "It helps them with their heartbeat, heart rate, staying healthy that way, giving them more time to be active," he said. "It's just not good for a kid that age to stay still all the time." While students continue to laugh and play educators believe they are helping their overall health and wellbeing one recess at a time. Click on the links to view Fairview Elementary School’s Alternative Methods of Instruction information and materials.